I am gut feeling type of guy. Imrul is not a bad ODI player and I still have faith in him. Hopefully he gets to play tomorrow. The most useless player in the history of cricket is Mohammad Ashraful. I know it's Roey type hatered, but I stand by my conclusion. Thank God this loser is gone. ^I don't hate. We all have good and evil inside of us. I only expose the evil side of people who others catch on to much later on. I am sure Rahim is a good man outside of cricket. But the way he has used the Bd team to hoodwink fans all these years is absolutely revolting. No I don't hate him, rather I understand him. Ofcourse you're a gut feeling type of guy, that's obvious. That's the only reason anyone would still want Imrul in the XI. In your defense, our selectors are also gut feel guys - you can tell by looking at their literal guts. Every decision comes from the gut. "Why yes, I will have a second plate of roshgulla." "Why yes, I would like an extra helping of biryani"
'Why yes, my gut tells me Imrul can see through the new ball"
lol 14 matches average 9 and a massive Strike Rate of 88! ROFL! can't wait to watch BD brand of T20 cricket tomorrow!! Bangladesh is trying to be like Megan Fox, but we end up being like Lindsay Lohan. Okay how about Bangladesh is trying to be like Durex but we end up being those cheap ones you buy from the dollar store. Does that rock your boat. I don't care how they play, I just hope no one pisses on my eyes with that Naagin dance. tonight you may see the naagin dance remixed with kala chasma after we fluke a wicket. but it's ok bevause as long as we win we can do whatever we want as long we not breaking code of conduct or hurting anyone. but nonethless and moving on, go team ! our selectors are also gut feel guys - you can tell by looking at their literal guts. Every decision comes from the gut. Sujon: Oi Haba "Why yes, I will have a second plate of roshgulla." 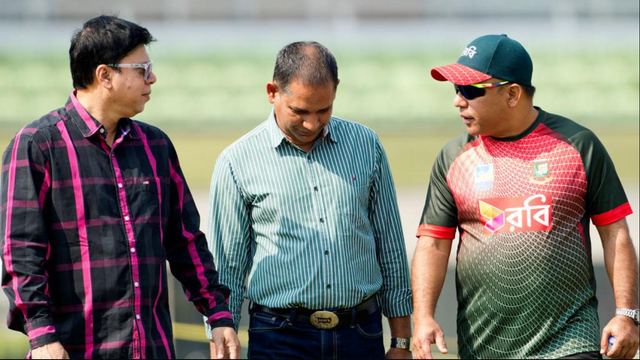 Nannu: Oi Haba "Why yes, I would like an extra helping of biryani"
Haba: 'Why yes, my gut tells me Imrul can see through the new ball"
I hope we win so that both Mushfiq and Ryad can do a combined Nagin dance. Why would anyone watch this when you can watch Ireland vs Zimbabwe instead?